Instant photography is back! Made popular by Polaroid cameras in the 1970s, instant film was all the rage towards the end of the 20th century. After nearly dying out in the 2000s and 2010s, the industry is enjoying a massive rise in popularity again as people want a fun alternative to digital photography. Sure, smartphone cameras are wonderful. But there is nothing like watching a freshly-snapped photo develop right in front of your eyes. Check out the best instant cameras from Polaroid, Fujifilm, Leica, Kodak and more. These cameras have come a long way since the seventies, with many offering great lenses, multiple shooting modes and shutter speeds, brightness control, timers, and other creative attachments. 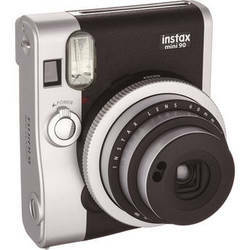 If you enjoy casual and fun photography, instant cameras are a must have. A instant camera—is also known as a polaroid camera. 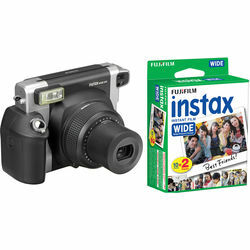 Check out B&H for a full line of instant and poloroid cameras.